"We love the essence of Italy so much that we wanted to have our wedding somewhere that felt like it." 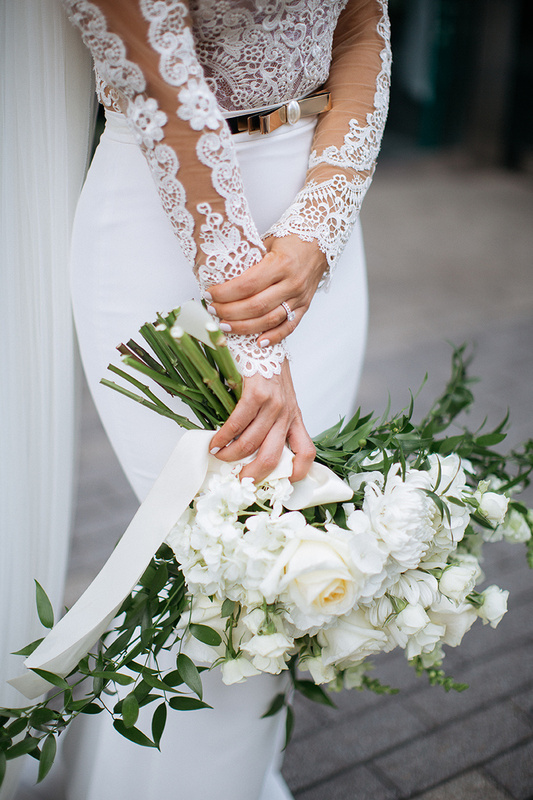 For their astoundingly beautiful Canadian wedding, Anna and Salvatore drew inspiration from their love of Italy and a historic fermenting cellar in the heart of Toronto is what the couple chose as their venue; a space that reminded them of untouched Italy. 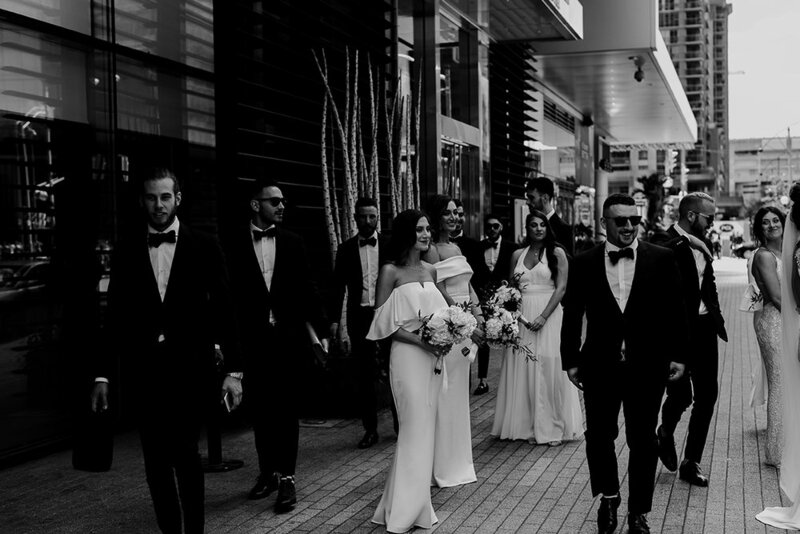 Both the bride and groom and their entire wedding party gloriously radiated in a refined style; Anna in Berta and Salvatore in Garrison Bespoke. 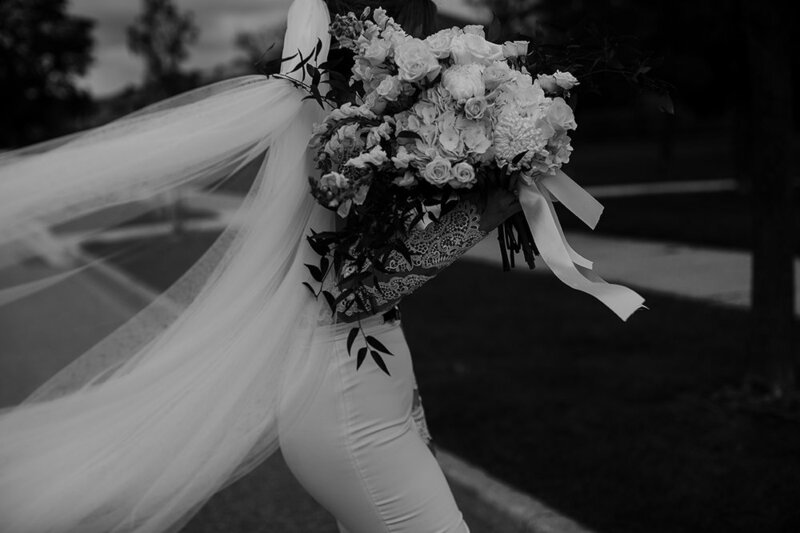 The bridesmaids united with a colour palette of white, yet differentiated in fashion, as for the groomsmen, it was sophisticated and timeless black and white. The styling for the reception was genuinely elegant, yet simple, allowing the natural beauty of the space to shine. Guests dined in candlelight on rustic harvest tables adorned with natural linen and stunning white floral arrangements. 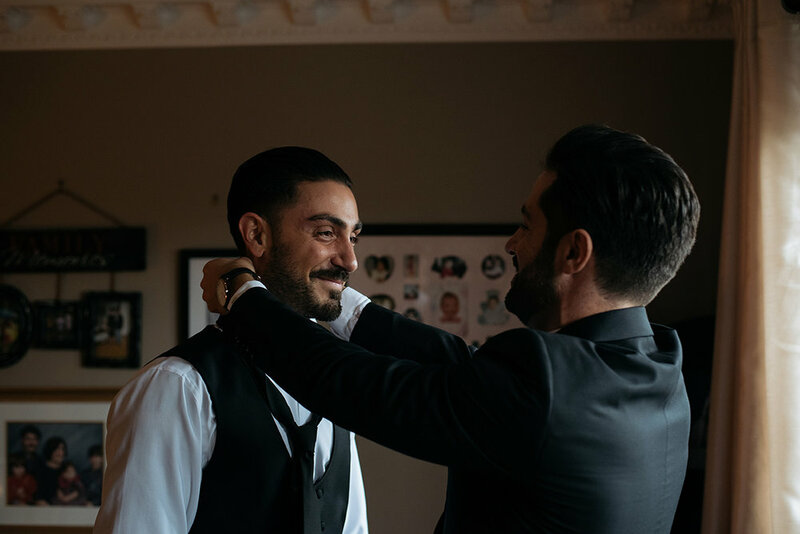 Canadian photographer Laura May was responsible for capturing Anna and Salvatore's wedding, images that transmit the brilliance and beautiful emotion of the day. 3 HIGHTLIGHTS OF THE DAY: Walking down the aisle with my dad towards the man of my dreams. | Drinking espresso in my wedding dress made by my husband in our Toronto hotel room. | Walking into the venue and seeing our vision come to life. THE SIGNIFICANCE OF THE VENUE: My husband and I love the essence of Italy so much we wanted to have our wedding somewhere that felt like it. The Fermenting cellar is a historic landmark in Toronto. Its stone exterior was built long ago and it is surrounded by cobblestone which gives the feeling of age and beauty. The interior is solely rustic walls, concrete floors and wooden beam ceilings. It is a blank canvas that allows you to bring your personal touch to the space. The space reminded us of the simple, untouched beauty of Italy. 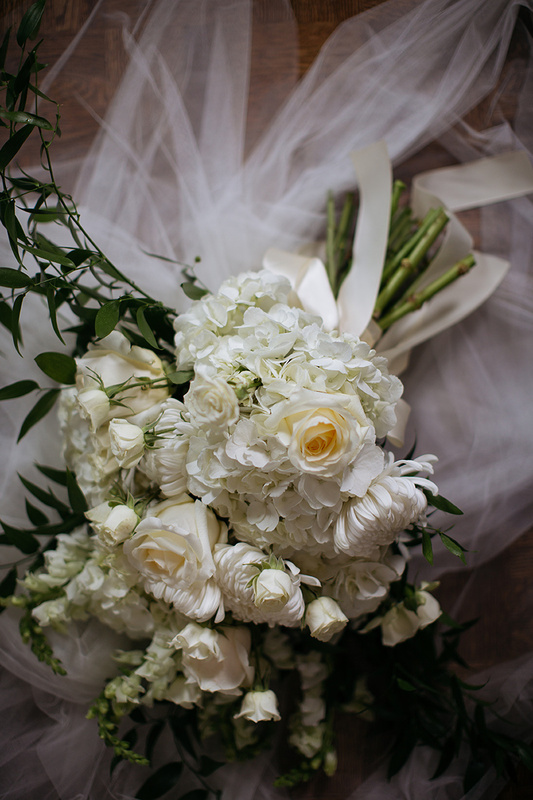 THE EXTRA SPECIAL MOMENTS: There were so many reasons why our day was so special. 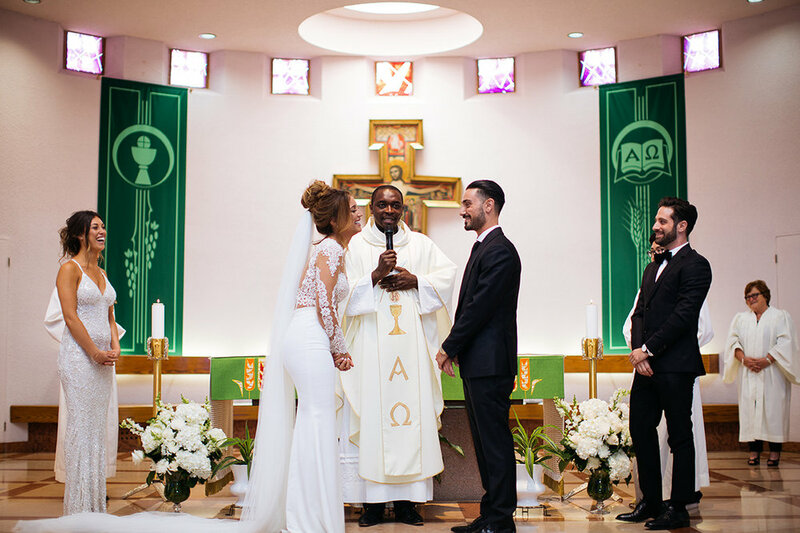 To us, happiness is only real when shared - our day was so special that we were able to experience it surrounded by love from our family and friends. WEDDING DAY TRADITIONS: It is tradition to have the bride dance with her father and groom with his mother, so we made sure these moments were perfect.